With ClockTower Cars, you can take the pressure out of travelling. With friendly drivers, free online booking and a convenient booking app, it’s easy to sit back, relax and enjoy your journey in Fetcham. The quiet yet scenic suburban village of Fetcham in Surrey lies just west to the bigger town of Leatherhead and neighbours Great Bookham. Visitors flock to the village for quiet getaways and to take in the wealth of countryside and a handful of beautiful landmarks that include the 18th century mansion of Fetcham Park House, the Grade II listed Le Pelerin and Thorncroft Manor. Use our services for a scenic ride around Fetcham or to get you to nearby towns and cities. If our years of service have taught us anything, it’s that, in order to maintain a high-class reputation, you can’t falter on customer care. Time and time again, we are chosen for our ability to maintain friendly and professional relationships with our clients, and this is largely due to the exclusivity of the drivers that work for us. All of our drivers are trained to all aspects of DVSA, Disability Awareness and Topographical Knowledge, leaving you in safe and secure hands. Our top-spec fleet includes 100 vehicles ranging from saloons, estate cars, MPVs and cars suitable for wheelchair users. All of our vehicles are no older than six years old and comply with all vehicle licensing requirements. 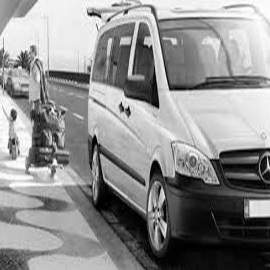 We offer services from airport transfers, corporate pickups and even school runs, all of which are available 24 hours a day, seven days a week. 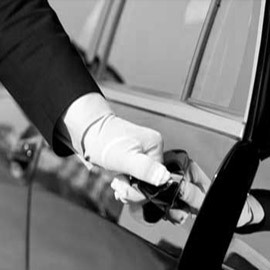 With ClockTower, we pride ourselves on a quick and easy service and this includes booking. Call or go online any time and you are able to make a booking with cash or card, even giving you the option of choosing which car you’d like to pick you or your guests up. Alternatively, download our free ClockTower Cars app that is available for both iOS and Android devices. 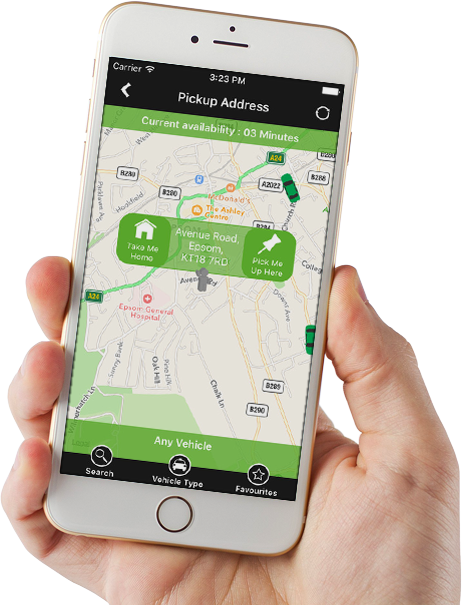 Once booked, the app will allow you to see where your driver is, and at approximately what time he’ll arrive to you. You can also cancel, change the time, and pay for your booking via the app. Just like our cars, all of our drivers go through a process of enhanced checks to ensure you a safe service. The drivers that we use all have the relevant training and experience required to provide the quality of customer care that we wish to maintain. Book with ClockTower today and take advantage of our affordable, high-quality services today. The booking line for ClockTower cars is open 24/7. Call 01372 727 727 or click here to book a car online. I used ClockTower Cars to get me from Fetcham to London to visit friends. They were very understanding and receptive of my needs. I’m so happy I downloaded the ClockTower app for my phone. It means I don’t have worry about paying because I can do it through the app and I can also track the driver which means I can be ready on time! I use the services at ClockTower to pick up my clients because I know that the drivers are always professional and confidential and the vehicles that they use are always clean. I’ve never had a problem with the service I’ve received from this company and, owning a business of my own, I know how important company reputations are to uphold. I’m still yet to experience a ClockTower driver that hasn’t gone the extra mile to deliver a friendly and approachable service. I recommend them to all of my friends who come to visit.